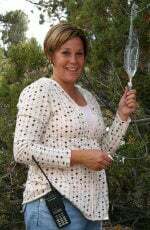 Karen became part of the RedCliff team in July of 2008. She earned her nursing degree from Weber State College and has worked in family practice, hospital setting, and ob/gyn setting. When she is not working, she has her hands full at home with a husband and four children. They enjoy traveling, supporting each other, and just being together. Karen is happy to be back in the Enterprise area and has already seen the positive effect that the wilderness experience can have on young people.